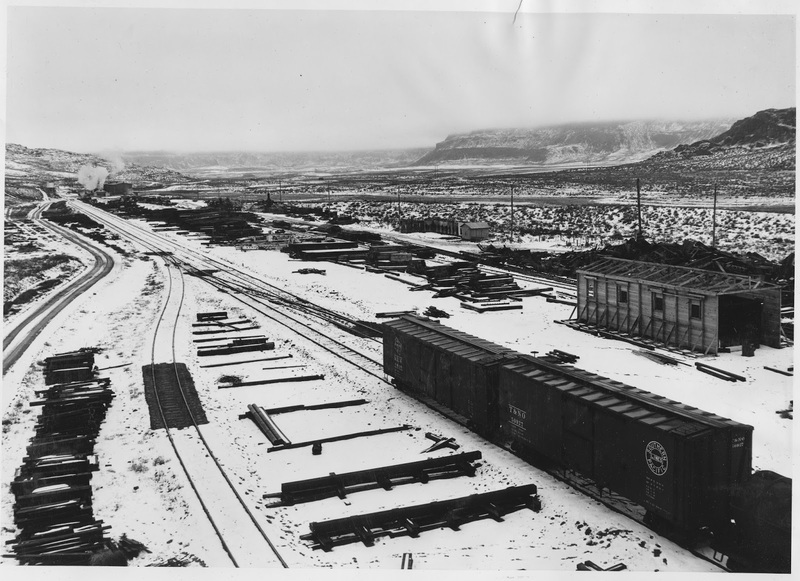 A yard at Electric City was constructed to further sort construction materials and build certain parts of Grand Coulee Dam before shipping to the actual site. This view, on December 15, 1937, is now completely under water. The photographer was standing in between today’s Coulee Playland and North Dam Park, and they were looking northwest across the Grand Coulee.